East Los Angeles College defensive tackle Sione Vea Kava signed a national letter of intent with the University of Oregon Wednesday morning. Strong and intense, Kava (6-foot-6, 270 pounds) will add much needed depth to the Ducks’ defensive line. 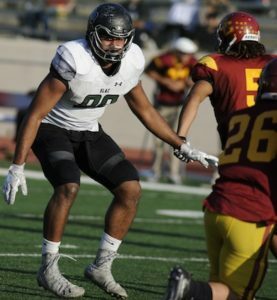 Kava was named the California Region IV defensive player of the year after helping ELAC to a 7-3 record and a second place finish in the Western State Conference Metro League this season. He also starred for the Huskies in 2016 helping to lead them to the league title and the Liberty Bowl championship. Raised in Honolulu, Kava was recruited by several Pac 12 schools and also caught the attention of recruiters nationally, including Georgia, Syracuse and Nevada. 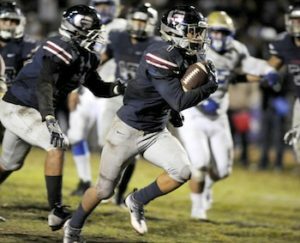 Besides Kava, ELAC had four other players named all state in wide receiver Kenny Allen, guard Earl Allen, linebacker Garrett Rogers and defensive back Aubrey Mosley. Organizers of a first time Giving Tuesday event this week at East Los Angeles College said their goal was to raise funds and awareness of the significant challenges many ELAC students face every day. According to the East Los Angeles College Foundation, sponsors of Tuesday’s “Transforming Lives” gathering, a large number of ELAC students face challenges that go far beyond the cost of books and tuition. They struggle with everyday quality of life issues, such as having enough to eat, clothing, transportation or even a roof over their heads. According to a recent ELAC ASU poll of ELAC students, 70% of students at the college have experienced hunger or food insecurity as students on campus; 42.6% believe their success as students is affected because of their hunger/food insecurity, and; 67.7% of ELAC students feel that ELAC needs to work on providing programs to tackle student hunger/food insecurity. Hundreds of community leaders, elected officials, ELAC students, faculty, and staff attended the event, which included the premier of three short films addressing the issues faced by students through their testimonials. There were also speeches and the announcement of financial donations and scholarships aimed at helping struggling students complete their education. 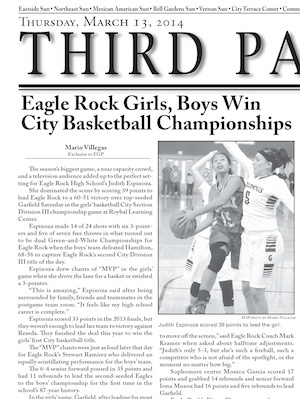 “As part of the ELAC Community, we want our students to be successful in their educational pursuits,” the Foundation said in a written statement. A longtime educator and former president of East Los Angeles College has been recognized for his service with the naming of a new 5-story, 135,000 square foot building at the college in his honor. 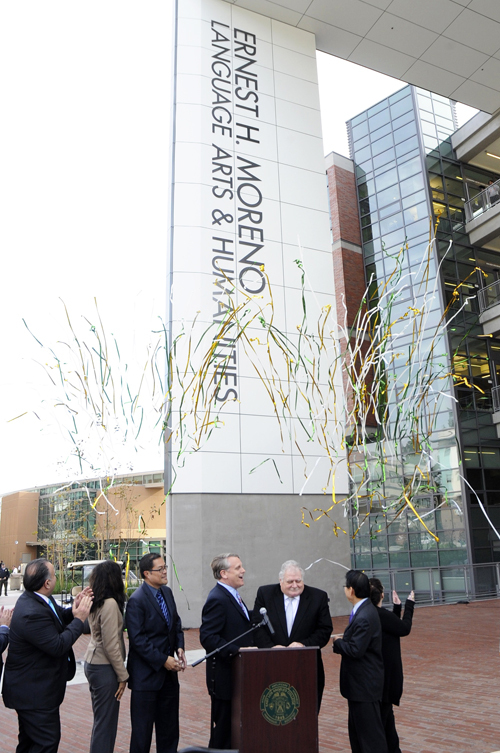 “Ernest H. Moreno has enriched the lives of community college students for nearly a half century,” ELAC statement following The Ernest H. Moreno Building of Language, Arts & Humanities sign unveiling ceremony on Feb. 8. Moreno served as Los Angeles Community College District (LACCD) employee for 42 years as a faculty member, administrator and college president. In 2013, he was elected to the LACCD’s Board of Trustees. The naming of the new facility pays tributes to Moreno’s tenure at ELAC, where he served as president from 1994 – with a brief interim assignment as President of Los Angeles Mission College – until his retirement in 2011. “Ernie Moreno is a legacy in our community,” said Scott J. Svonkin, President of the LACCD Board of Trustees. “Ernie led the effort to build one of the preeminent community colleges in the nation, right here at East Los Angeles College. He took a community college that had buildings in disrepair and with decades-old bungalows in use for classrooms and led the way for ELAC to become one of the finest and largest colleges in California and the nation,” Svonkin said in praise of the San Gabriel Valley native. “And then he joined our board and led the effort to rebuild our campuses across the district. 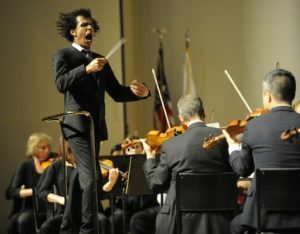 World-class facilities are now the norm at each of our nine LACCD campuses,” Svonkin told those gathered for the tribute. According to ELAC, the building bearing Moreno’s name will house several academic departments, including English, Foreign Language, Chicano Studies and Speech; and provides 40 classrooms, three labs and office space for more than 80 faculty. The new central plaza quadrangle the building faces, offers space for students to study, and relax. 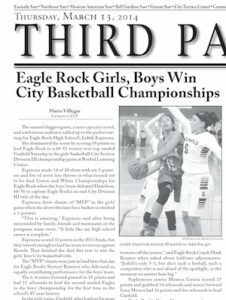 Moreno said he is “honored and humbled” by the recognition. 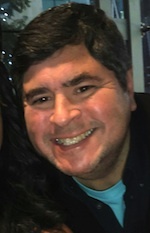 Moreno taught business administration, supervision and management, and labor relations at Los Angeles Trade-Technical College from 1976 to 1986, and political science at West Los Angeles College from 1986 to 2006. Educated in the San Gabriel Valley Unified School District, he attended Cal State L.A. where he earned a Bachelor of Science degree in political science. He earned a Master’s in public administration from Cal State Long Beach. Moreno is Chairman and member of the Board of Directors of Monterey Park Hospital and a member of the Board of Los Angeles County College of Nursing and Allied Health. He was a member of the Santa Clarita Community College District Board of Trustees from 1989 to 2006. Los Angeles County Supervisor Hilda Solis was presented with the Community Activist Award at East Los Angeles College’s first “Welcome Home East LA Event,” a reunion attended by former and current students, past presidents, administrators, coaches and faculty held Saturday at ELAC’s new Campus Student Center. 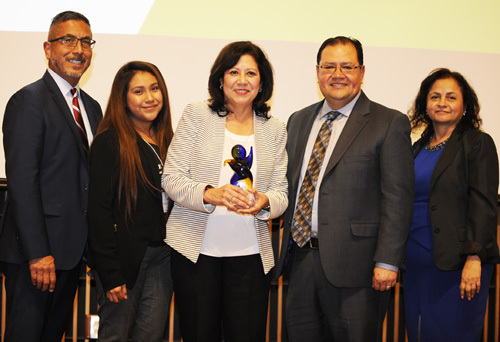 “ELAC has a 72-year history of grooming amazing leaders who have been at the forefront of promoting activism and social awareness and who have made significant contributions in the communities it serves,” the college said in a statement announcing the awards. The capacity-filled reunion included a live performance by the Mariachi Conservancy of Boyle Heights, food and dancing for a festive evening of rekindling relationships and celebrating accomplishments. 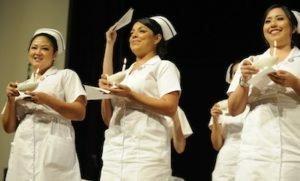 The event also raised funds to assist some of the community college’s most financially challenged students – including more than 1,400 undocumented students and 103 foster youth struggling to find a safe home and basic living accommodations – the college says are all working to overcome substantial obstacles as they persevere to reach their educational goals. The newly established Dream Resource Center (DRC) helps undocumented students come out of the shadows and gives them renewed hope and aspirations that anything is possible if they don’t give up. Proceeds from the event will help provide financial assistance for scholarships, book grants and transportation assistance for students in need and who otherwise do not qualify for state or federal financial aid. 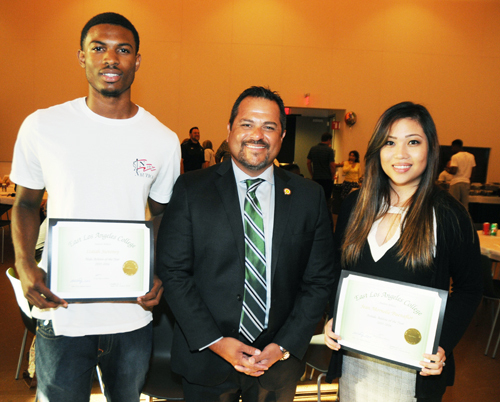 Basketball’s Izaiah Sweeney, left, and badminton’s Jean Mornelle Buenaflor were named the male and female athletes of the year, respectively at the East Los Angeles College Department of Athletics’ 16th Annual Scholar-Athlete Awards Dinner. Sweeney was named all-state after helping lead the Huskies to the state final four, and Buenaflor helped ELAC win its first-ever state doubles championship. Alumnus James Sams, middle, the principal at Bell Gardens Elementary School, was the keynote speaker. Sams was a two-time all-conference tackle on the Husky football teams in 1988 and ’89. 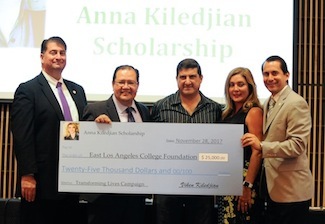 The event was held July 21 in the multi-purpose room in the new ELAC Student Center. Former Secretary of State Hillary Clinton is scheduled to speak today at East Los Angeles College amid a planned protest by Latino students and community groups and to raise funds for her campaign for the Democratic presidential nomination. Clinton will discuss her plans to raise incomes for families, break down the barriers that hold Californians back, keep America safe and bring the country together, an aide said. Clinton’s husband, Bill, in 1992, according to Maria Iacobo of the Los Angeles Community College District. Members of Union del Barrio, MEXA of East Los Angeles College, LA Brown Berets and several other student and community-based organizations plan to march seven blocks in Monterrey Park from Belvedere Park to East Los Angeles College to protest what organizers call Clinton’s attacks on working-class communities of color and her 2002 vote as a senator in favor of the resolution authorizing military action against Iraq. “This event is to let Hillary know that she is not welcomed in Los Angeles and to raise community awareness of what she really represents. We will let the community know that either Donald Trump or Hillary Clinton would make terrible presidents,” said organizer Ron Gochez, referring to the real estate tycoon and television personality who is the presumptive Republican presidential nominee. “This action is strictly to protest against Hillary Clinton and not in support of any party and/or candidates.” There was no response to an email sent Wednesday night to the Clinton campaign seeking comment. Clinton will also hold two fundraisers in downtown Los Angeles today, according to Political Party Time, a website that tracks political fundraisers. Tickets for an afternoon fundraiser hosted by Los Angeles City Councilman Jose Huizar are $2,700, the maximum individual contribution under federal law to a candidate seeking a party’s presidential nomination. Individuals who have raised $10,000 are designated as co-hosts and will be able to have their pictures taken with Clinton. Those raising $27,000 are designated as event hosts and received an invitation to a host reception with Clinton and receive membership in the Hillary for America Finance Committee. Tickets for a second downtown fundraiser are also $2,700, with couples donating $5,400 for Clinton’s primary campaign getting a photo with her. Individuals raising $27,000 are designated as event co-hosts and received an invitation to a host reception with Clinton and receive membership in the Hillary for America Finance Committee. A third fundraiser for the Clinton campaign is also planned for today in downtown Los Angeles, a $1,000 per person event featuring the campaign’s vice chair Huma Abedin, a longtime Clinton aide and wife of former Rep. Anthony Weiner, D-New York. The trip is the 68-year-old Clinton’s 11th to the Los Angeles area since declaring her candidacy for the Democratic presidential nomination on April 12, 2015. Clinton held 24 fundraisers during her previous visits, including a $33,400 per person event at the Studio City home of actor George Clooney during her last visit, when supporters of her opponent for the Democratic nomination, Vermont Sen. Bernie Sanders, threw dollar bills at her motorcade. Both Sanders and Trump are scheduled to hold rallies in Charleston, West Virginia, today, five days before its primary. 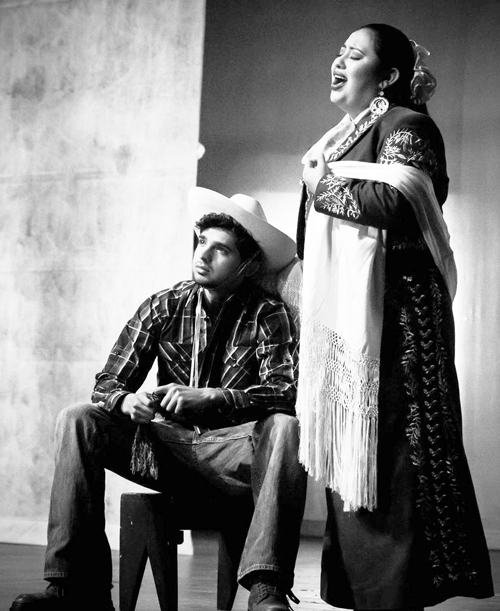 The story of the bracero, Mexican migrant workers who traveled to the United States in the 1940s and 50s to fill the country’s labor shortage, will be told through the sounds of mariachi music fused with ballet folklorico and opera style set pieces tonight at East Los Angeles College. “El Bracero” will follow the story as told by a former bracero, highlighting the challenges and injustices workers faced at bracero camps in the U.S.
“Some young people may not even know what that word [bracero] means,” acknowledged Miguel Orozco, director and producer of the show. He hopes that will change with the performance. “If you didn’t know anything about braceros you will leave with an appreciation for what they did,” he told EGP. The play will be performed at Ingalls Auditorium May 5 on the ELAC campus. It will take place in conjunction with the Taste of East L.A., which will include food, wine and tequila tastings. The event kicks off at 5:30p.m. Theater doors open at 7p.m. “We are proud to bring ‘El Bracero’ to East Los Angeles as part of our Cinco de Mayo festivities,” says Marvin Martinez, president of ELAC. Performers include 10 members of the Mariachi Aguilas de Oxnard, 12 actors, 4 ballet folklorico dancers, and three ELAC students. The hour-long performance will be performed in Spanish with English subtitles projected on a screen to allow non-Spanish speakers to take part. The mariachi opera will use music to entertain and educate the audience about the history and culture of the bracero, bringing to life the backdrop of historical photos showing their plight projected on screen. When most people think of mariachis they think of it in terms of music played at a wedding, restaurant, quinceañera or funeral, observed Orozco, who says his goal is to raise the genre to a new level. “El Bracero” was written by Rosalinda Verde and is based on stories she gathered from her family. The play debuted in Oxnard earlier this year and is being brought to ELAC by the East Los Angeles College Foundation. 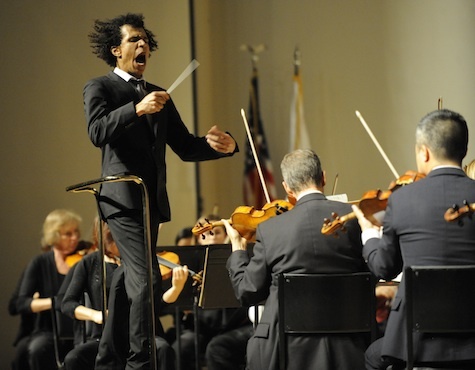 Performing it on Cinco de Mayo is very appropriate, notes Orozco. Cinco de Mayo commemorates the Battle of Puebla, when a small, poorly armed band of Mexicans was victorious against powerful French troops. It now serves as a day to celebrate Mexican heritage, explains Orozco, a proud Mexican-American himself. Ticket prices range from $15 to $25 and can be purchased at the box office, at www.elac-foundation.org or by calling (323) 265-8901.